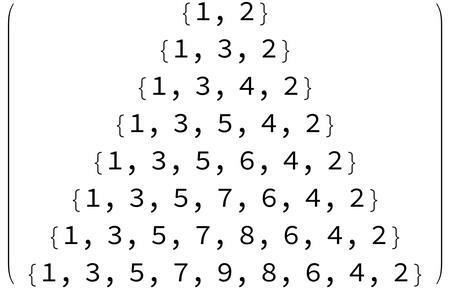 Is there a more effecient way to generate the sequence shown below. Not the answer you're looking for? Browse other questions tagged list-manipulation table sequence or ask your own question. how can I generate a sequence of assignments? Is there a simple way to convert a list to a sequence? How to input truth table and generate corresponding logical expression?